This is a scandal. 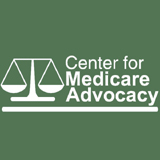 Medicare Advantage plans continue to fail beneficiaries and cost taxpayers. Why don’t more people get it – or act to do something about it?